Features a sturdy, die-cast metal housing, a volume control and sliders for 5 bands of EQ (100 Hz, 250 Hz, 630 Hz, 1.6 kHz, 4 kHz), 18 dB cut or boost per band. 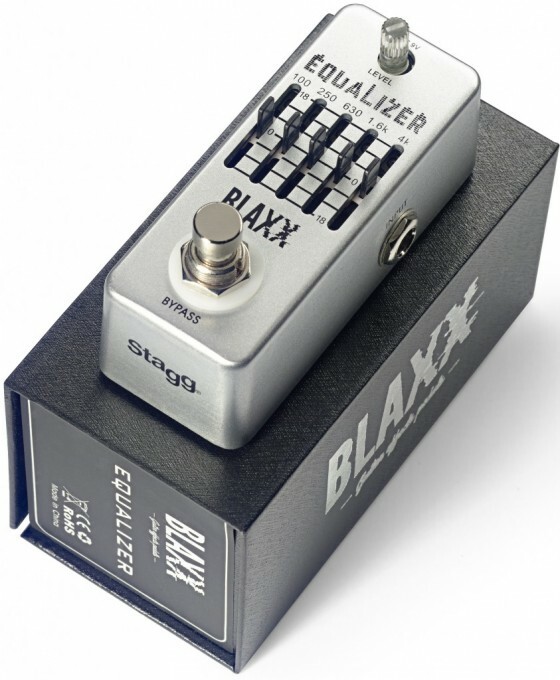 The BLAXX EQ-5B Pedal is an ultra compact, affordable 5-band EQ pedal. Thanks to its small footprint it is perfect for your pedalboard.